To host the production environment of a Rails application I had recently developed, I was offered a standalone server, running Windows 7 Professional, on a static IP address. 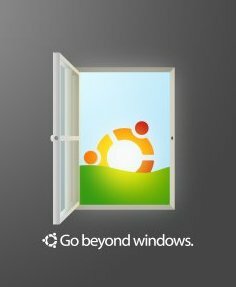 Rails + Windows is an unholy union, and to isolate as well the Windows machine from compromises on the web application, I decided to run Ubuntu Server on a VirtualBox instance. The final purpose was to run Ubuntu without any GUI, reachable exclusively via SSH, and handled as a Windows service; in this way, the server would be automatically started or shutdown with the Windows machine. And this is the tale on how I accomplished it. Obviously this story changes with the time, eventually becoming obsolete. It relates to the end of 2011, when the most recent Ubuntu Server distribution is 11.10, and the most updated VirtualBox release is 4.1.x. Furthermore, the host is running Windows 7 Professional (64 bits), using a i5 2500K CPU and 8 gigabytes of memory. Download the Ubuntu server distribution. To speed up the download, the best is to download the alternate torrent distribution (currently: ubuntu-11.10-server-amd64.iso.torrent), ensuring that the md5 hash matches. Start virtualbox, and create a virtual machine (I named mine Wimel) with type Ubuntu (64 bits), using 1.5 Gigas and a dynamically allocated VDI hard disk of 50 Gigas; these are arbitrary sizes, the memory depends obviously on the final usage requirements, and 1 Gigabyte should be enough for most purposes; likewise, 50 Gigas is a lot of space. Enough to say that once the server and all my required applications were installed, only 2 gigabytes were used. But being dynamically allocated, it means that there is space (a lot!) to grow, without immediately using it. After creation, go to the instance configuration in virtualbox. On storage, provide the path to the downloaded Ubuntu iso, and, on system, allocate 2 processors. Once again, this allocation reflects my own needs, where I gave as much importance to the linux machine as to the Windows host. Start now the virtual machine. Select language and keyboard, provide a hostname and use the entire disk (no LVM). For a Rails server, I only installed the OpenSSH server (LAMP, specially, not required). Afterwards, install the GRUB loader to the master boot record, and complete the installation. This is still not the complete network solution; it is needed to go now to the virtualbox configuration of this machine and select Bridge adapter instead of the default NAT. After this, restart once again the virtual machine. The Ubuntu virtual machine is now reachable via SSH. Obviously, it is needed some network address translation magic to access this machine from the internet. In special, with the static IP address (192.168.0.105 in this case) it is needed to setup NAPT (Network Address and Port Translation) to access the port 22 on 192.168.0.105 via an external port (like 5022). This depend on your router; I have an old Alcatel router that allows this setup, while a much newer router, a Netgear WNDR3700 does not fully allow it (I can perform the NAPT translation only from the same or lower port, not from a higher port). This setups one single virtual machine called Wimel, but multiple machines could be setup automatically. Note that the windows user and password must be hardcoded in the file, so pay attention to the access rights. Set it up to start as automatic (no delayed). And that's the lengthy process to have it working. And having it working great.